If an error occurs while running a script, a rollback is initiated. This ensures that the original password is restored. When does a rollback run? 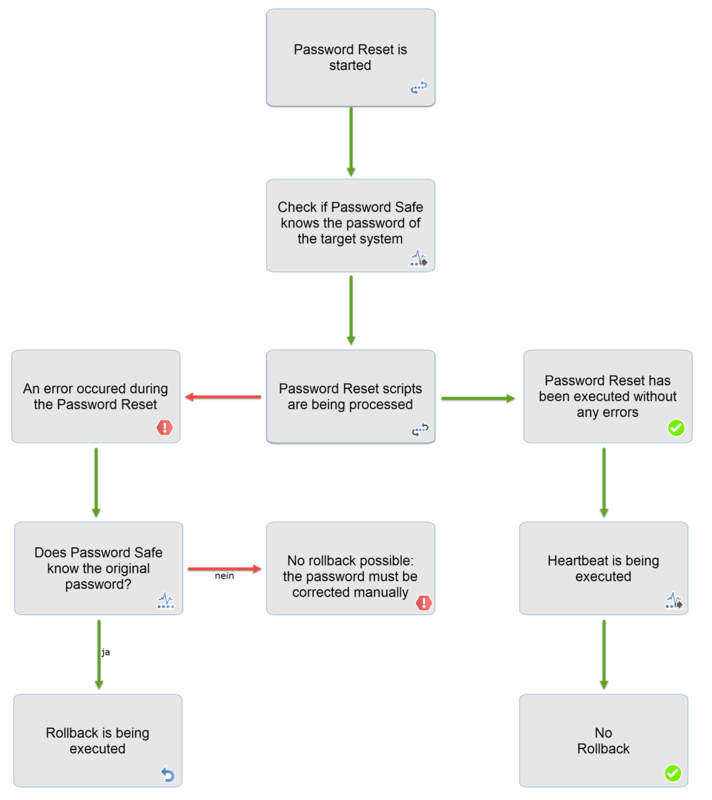 If a rollback needs to be run, all scripts for the Password Reset are executed once again. The last password in the history is used for this process. No new historical entry is created after the rollback. The logbook can be used to see if a rollback has been run and if it was successful. After a rollback, the password should be checked once again as a precaution.